This serum has a clear watery base and provides lots of hydration and nutrients to your skin. It contains Jayangboeumdan (滋養補陰丹), Cheongyeondan (淸連丹), black raspberry extract and sap from 12 herbal plants that provides anti-aging and aims for dry and coarse skin. The serum absorbs quickly and penetrates into the skin's deep layers. 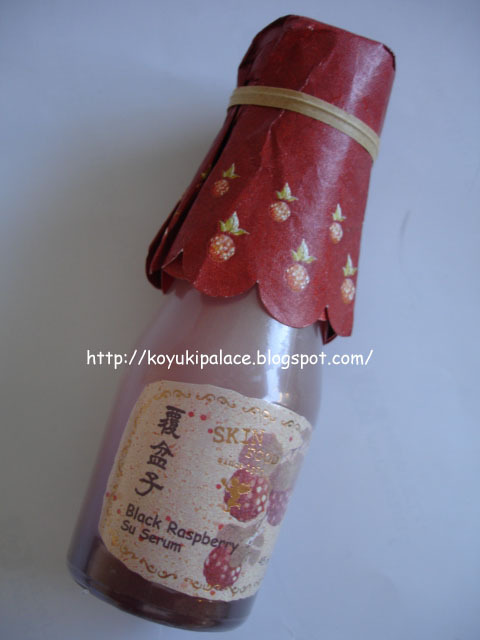 The Black Raspberry line strengthens and revitalizes skin for a noticeable improvement in skin health and suppleness.